This lecture, the third in the ELS Northern Province Lecture series 2019, is hosted by Wrigleys Solicitors LLP. 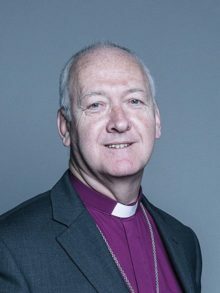 Bishop Nick Baines will speak on "The Function of Ecclesiastical Law in Effective Parochial Ministry." Further details will be added here in due course. This lecture is open to members and non-members. Booking through the website closes 48 hours before the event (or when the event is full) but please contact the Administrator for late availability requests.